Wondering what makes the HGTV HOME™ so approachable in retail? 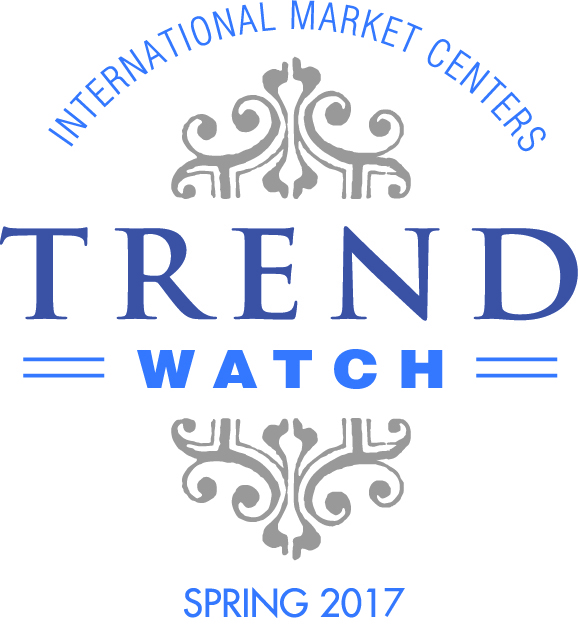 The success of our brand at retail is because HGTV shows you how to incorporate color, fabric and furniture into your home everyday. It’s a style sensibility that gives every room in your home that HGTV feeling. The compelling renovations and stunning transformations allows the consumer to become the arbiter of style in their own home with our exclusive collections through the HGTV HOME™ consumer products line. 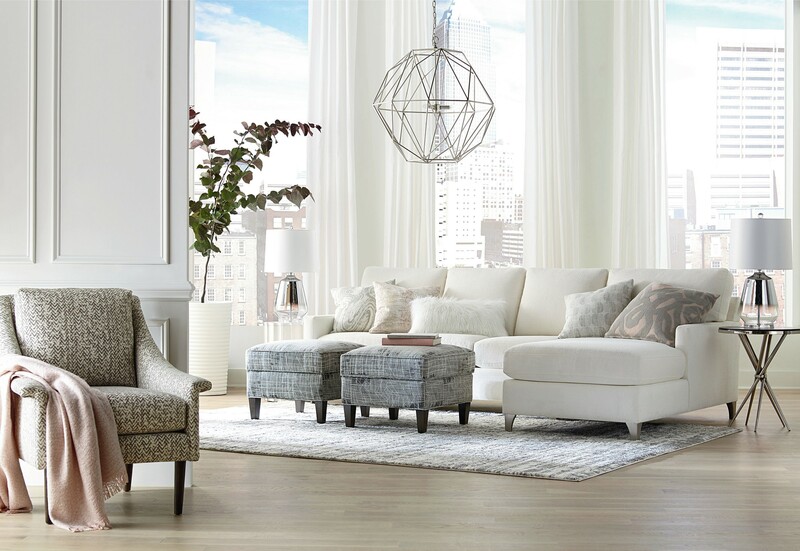 HGTV HOME™ Design Studio by Bassett resonates with consumers because of its natural DIY translation…we offer over 650 fabrics, a variety of arm styles, leg base styles, back styles, sofa lengths, depths and seat cushion options. It’s amazing when no two upholstered sofas, headboards or ottomans look the same because HGTV HOME™ lets consumers be innovative, creative and original with curated choices for their home. 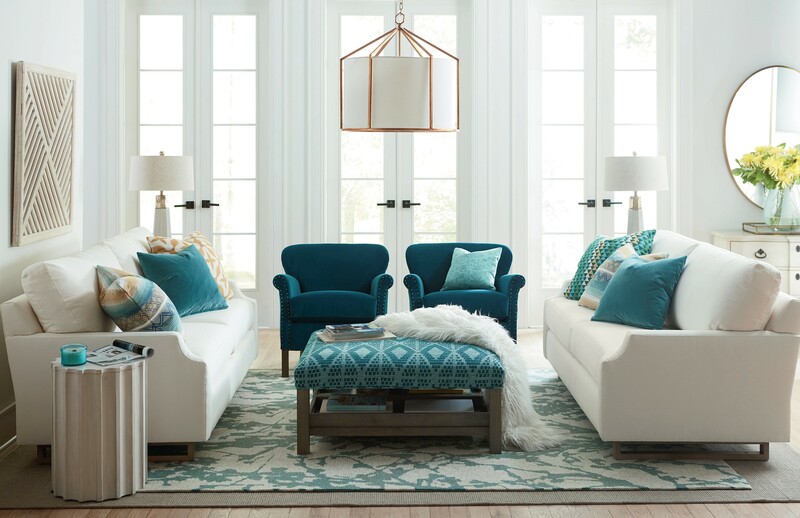 This High Point Market we are re-launching HGTV HOME™ Design Studio by Bassett custom upholstery line that broadens the options for the consumer when selecting that perfect sofa down to the finest detail. At HGTV HOME™, we love creating custom furniture and giving you expert advice about what’s new in home decor. We are excited to have Tiffany Brooks, the HGTV®Smart Home Designer who created an aspirational setting in our showroom located in the IHFC building C1200 using our fabrics and newest furniture styles. 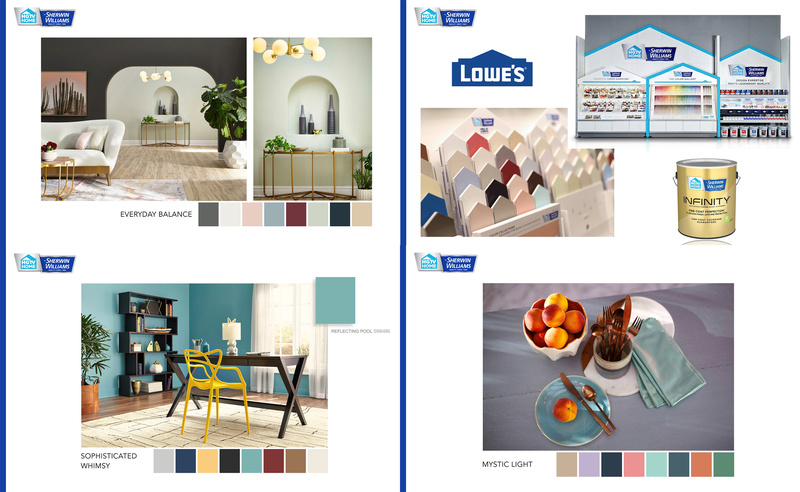 Our 2019 HGTV HOME™ by Sherwin Williams Color Collections provide a curated yet contemporary choice in updated and fresh color alternatives for interiors—Mystic Light, Sophisticated Whimsy and Everyday Balance give consumers three lifestyle palettes, in addition to our existing 19 color collections, which are diversified for use within any room in your home. The design sensibility of these colors allows our consumer to be the arbiter of style when it comes to picking palettes of color for their next home painting project. Because our palettes are a curated selection of colors, it allows the consumer to create room-to-room harmony making the paint process a creative and easy way to expand their design story in their home. The HGTV HOME™ by Sherwin Williams paint is available at Lowe’s.